All In One Waterproof Mobility Scooter Alarm And Siren. Four levels of sensitivity that are adjustable from the remote handset that can attach to your key fob. Finder button - Press the Finder button and it will sound a loud beep to locate your scooter or wheelchair. 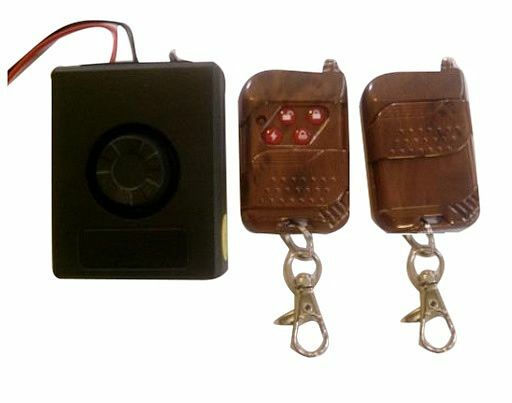 2½" x 2" x 1"
Ordered and despatched same day.Excellent product easy to fit loud response when armed, sliding covers on remote controls to avoid accidently pressing buttons. Five stars.